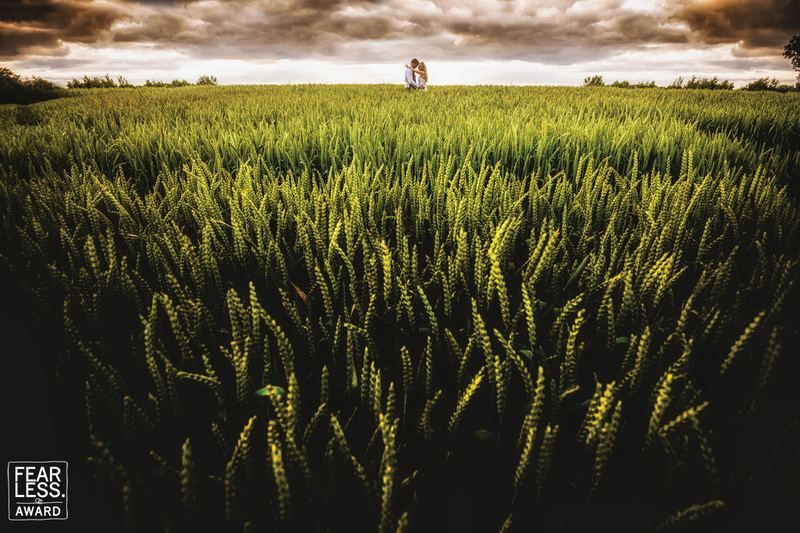 Pushed far off into the field, the couple enjoys a private moment together. The cool green tones in the foreground contrast beautifully with the warm hues in the sky. Lowering the perfective filled our field of view with these dancing stems and pushed the couple all the way up to the edge of the horizon.